In 2011 the Northern Ireland government announced its ‘Road Safety Plan to 2020’, containing a wide range of proposals designed to make driving on the roads in Northern Ireland safer. In 2013 56 people died on Northern Ireland’s roads. On January 3rd 2014 Environment Minister Mark H Durkan said that reducing this number was vital. He said that while numbers of deaths on the road had declined in previous years, there were 8 more deaths in 2013 than in the year before, which was unacceptable. At the same time the government announced a bolstering of the existing Northern Ireland road safety initiatives with a range of far reaching proposals to tackle road deaths. One of these was the launch of a hard-hitting community campaign – The Road to Zero – aimed at encouraging individuals, the media, government and community groups to take the pledge to The Road to Zero – or zero road deaths. Part of this was an impactful advertising campaign playing on the emotional tragedy that death has on family members. More recently, a Road Traffic (Amendment) Bill was drafted and is being put through the legislative process to make it law. The Bill makes substantive recommendations to change driver and rider training. For example, individuals will need to have had a provisional licence for at least a year before they can sit their first practical test and drivers will not be able to get a full licence before they are 17 and a half. With regard to driving lessons the Northern Ireland government proposes that drivers will need to complete the new ‘Learning to Drive’ course and produce the student logbook (signed by their Approved Driving Instructor) before sitting their first practical test. The driving test will be changed to permit driving on a wider range of roads at their respective maximum speed limits and drivers will no longer be required to drive at or below 45 mph as a learner or ‘restricted’ driver. In addition R plates will be replaced by N plates (for newly qualified drivers) and these will have to be displayed for two years. Importantly, new drivers under 24 will not be allowed to carry passengers between the ages of 14 and 20 except for immediate family members and this will apply for the first six months after passing their driving test and getting a full licence. This restriction will be lifted if the driver is accompanied by a ‘supervising driver’ over 21 years old, who has held a full driving licence for three years and is sitting in the front passenger seat. 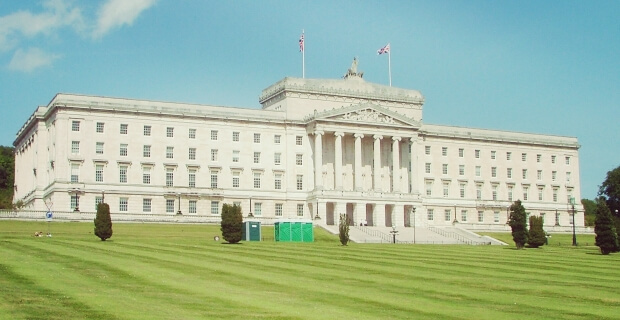 By taking such significant steps the government of Northern Ireland puts itself way ahead of the UK government, which announced the indefinite postponement of its much anticipated Green Paper discussing young driver safety reforms in December 2013.